Checking vs Savings Account: What is the Difference? A checking account is for everyday use, while a savings account has less flexibility but higher interest rates. Read on to learn more. Banks offer two basic types of deposit accounts for your money: checking and savings. A checking account is designed for everyday activity and transactions. A savings account is intended to let your funds grow over time. Let's start with a quick peek at the basics. Checking and savings are safe, smart alternatives to hiding wads of cash in your sock drawer. Here's what to know about both. Take note of account minimums. Banks may charge a monthly service fee for each account. That charge can usually be waived if you maintain a specified minimum account balance, schedule regular direct deposits, or meet other criteria. FDIC secured. Each account is insured by the Federal Deposit Insurance Corporation (FDIC). 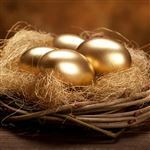 This means that in the VERY unlikely event that your bank folds, the government will make sure you still get your money back, up to a total of $250,000 per depositor. Both are easy to open. Opening either type of account can be done in person or online depending on your bank. All you need is your basic information (name, address, Social Security number), a driver's license or current ID, and the minimum opening deposit amount. Despite their similarities, checking and savings accounts serve different purposes and have unique features. Choosing the right account really depends on your personal needs. 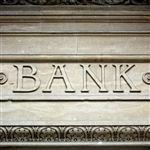 Tip: Many banks offer bonuses for opening a new account. Check out a list of the best bank promotions that do NOT have a direct deposit requirement. A checking account is designed to be your everyday spending account. Think of it as a digital wallet. Here's what you get. Flexible money access. The money in your checking account is meant to be spent, not saved. You can freely use the money in your account at any time with no limits. Debit cards. You'll get a debit card, which allows you to make ATM withdrawals or purchase items directly using the funds in your checking account. Check writing. Banks usually provide checks (sometimes for a small fee). Online bill pay. Most banks also offer unlimited free online bill pay. You can pay mortgage, credit card bills, utilities, student loans, etc., using the money you keep in your checking. You can set up automatic recurring payments or make one-time payments. Many checking accounts even feature "overdraft protection." This is a temporary line of credit that kicks in if you spend more money than you have available. Checking accounts, however, offer little or no interest. There's no real benefit to keeping money there that you don't intend to spend in the immediate future. In fact, you're actually losing money that could be earned in an interest-bearing savings account. Savings accounts are a place to save your money and have it grow over time. It's a great place to store an emergency fund and the savings for your goals. Higher interest rates. Savings accounts will typically offer higher interest rates than checking accounts. Banks reward you for keeping your money right where it is, rather than moving it around or spending it on bills or daily purchases. No caps on deposits. You can add to your balance as much as you like. You can also check your statement every month and see how much interest is accruing. Limits on withdrawals and transfers. The federal government limits the number of withdrawals and transfers from your savings to 6 per month. Banks charge varying (and sometimes steep) fees for every transaction above that number. Limited access. You can't directly use the money in your savings. For example, your savings account will not allow you to pay bills directly from your account. For that, you'll need to transfer money into a checking account. Some banks may offer an ATM card to allow withdrawals from your savings. But unlike a debit card, these cannot be used to make purchases. Others require you to visit one of their branch locations to take out some of your money. Read: How Much Should I Save? If you can afford the minimum initial deposits, opening a checking AND savings account is the best option. You need a checking account for everyday transactions, like purchases and bill pay. You need a savings account for short- and long-term goals, whether that's a new car, your first home, or a special vacation. A separate savings account will also help you keep track of that money. Many banks offer linked accounts. Some even waive their monthly fees as an incentive for opening both. You'll get a debit card that allows access to each account from affiliated ATMs, which makes managing your money easier. Keeping a linked checking and savings may also spur you on to better savings habits. You can schedule automatic transfers from your checking account into savings. Or simply transfer funds when your checking account balance reaches a target level. But be sure to leave enough money in your checking for outstanding bills and expenses! A checking account is necessary for everyday use of your money. A savings account is meant to be a place for saving money toward your goals. Note: Interest rates, fees and minimum balances vary DRASTICALLY depending on the bank or credit union. Choosing where to save your money matters as much, if not more, than deciding the right kind of account for you. Check out our top online checking accounts and online saving accounts. Leave a comment about Checking vs Savings Account: What is the Difference?